Living with oily skin can be a big pain. Besides having to deal with keeping shine under control while you’re out and about, you also have to take extra time choosing the right skincare products that won’t irritate your skin or cause to produce more oil. It takes time, but learning what kind of products work for you does pay off in the long run. In this article, Beauty Shortcutips is here to help you find the best exfoliators in the market for those of us with oily skin. We’ll do a rundown of some of the best products, what they can do, and why we think you should give it a try. Why is Exfoliating Necessary for Oily Skin? What Makes a Good Exfoliator for Oily Skin? - Oily skin? Here is everything you need to know! If you think regular exfoliation is only for those with dry to very dry skin, you’re wrong. Even if you have oily skin, there’s still a layer of dead skin and all the bad stuff just sitting on top of your face. That layer of dirt and dead skin can very easily slip into your pores and cause you to develop pimples, blackheads, and whiteheads.Not to mention, the extra sebum on your skin makes it a lot easier for that to happen. But bear in mind, exfoliation for oily skin should only be done once or twice a week. Stripping the skin of too much oil can cause to dry out and produce even more oil. Yikes! 1. 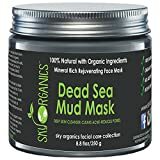 Dead Sea ﻿﻿﻿Mud﻿﻿﻿ Mask by Sky Organics - A great exfoliant made from dead sea mud and enriched with vitamins and minerals. 2. Garnier SkinActive Clean + Blackhead Eliminating Scrub for Oily Skin - an exfoliator and a cleanser rolled into one. It’s also infused with active charcoal. 3. 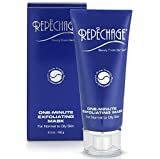 Repechage One Minute Exfoliating Mask - A two-in-one cleanser and exfoliator that leaves the skin feeling less oily but still moisturized after use. 4. Pure ﻿﻿﻿Facial﻿﻿﻿ Scrub for Sensitive Skin - a rich facial scrub made for those with sensitive skin. It exfoliates gently but effectively. 5. 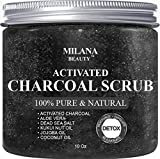 Milana Beauty Activated Charcoal Scrub - A great face and body scrub made with dead sea salt mixed with activated charcoal and various natural oils. 6. 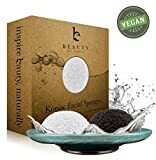 Beauty by Earth Konjac Sponge - Great for those with extremely sensitive skin, this natural cleansing sponge made from Konjac root is easy on the skin but tough on oils and dirt. 7. 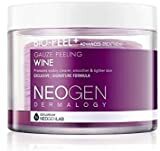 Neogen Dermalogy Bio-Peel Gauze Peeling Wine - A gentle chemical exfoliant that takes away dead skin, dirt, and oil from the surface of the skin without causing micro tears. 8. 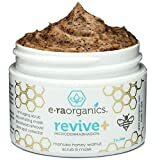 Era Organics Revive Microdermabrasion Scrub Manuka Honey Walnut - Made from natural ingredients, this scrub removes dirt and sebum while keeping skin nourished with manuka honey. 9. 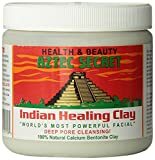 Aztec Secret Indian Healing Clay - A multi-purpose mud mask that’s great for giving your skin a spa treatment at home. 10. Brooklyn Botany Charcoal Scrub - A face and body scrub infused with the power of activated charcoal to prevent blemishes, infections, and to keep skin feeling fresh and clean. Nourish your skin while removing excess oil and unwanted toxins with this organic mud mask by Sky Organics. The mud used in this product was sourced directly from the Dead Sea in Israel that’s known for being rich in natural vitamins and minerals. This product is great for stripping the skin off excess oil but be sure to moisturize after to prevent the skin from producing more oil. 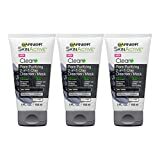 This facial scrub and cleanser from Garnier is infused with activated charcoal and salicylic acid to kill the dirt and prevent the development of pimples and other blemishes. The best thing about this is that you can choose one that’s specially formulated for oily skin. If you have sensitive skin that’s prone to tearing, this one might be for you. Repechage uses natural, gentle exfoliating beads that doesn’t cause microdermabrasions. It’s made to cleanse oily skin without drying it out too much. What’s more, this product is a facial treatment and exfoliator rolled into one! Just massage this on your face for 1 minute and rinse off. Having sensitive oily skin can be a bit of a pain. Thankfully, this facial scrub is hypoallergenic and helps wick out excess oil at the same time! This scrub is infused with almond, jojoba, and apricot oil that leaves good vitamins and minerals for your skin to enjoy. Products made with 100% natural ingredients are always a favorite among beauty lovers. This scrub from Milana Beauty is made from activated charcoal and salt from the dead sea, known to have a ton of vitamins and minerals that’s perfect for nourishing your skin. It also contains various natural oils to keep your face from becoming flaky and dry. Japanese and Korean women are known for their impeccable complexion and this may be one of the reasons why. Konjac is a potato-like crop that’s been used in Asia for thousands of years. In the world of cosmetics, they’re processed into these soft sponges used to gently exfoliate and cleanse your face and body. This charcoal infused Konjac sponge from Beauty by Earth is perfect for absorbing excess dirt and oil while keeping blemishes at bay. You can choose to use this on its own or combine it with your favorite cleanser. This peeling pad is a cult favorite for Korean beauty enthusiasts, YouTubers, and bloggers all over the world and it’s easy to see why. This microdermabrasion sugar scrub is made to gently exfoliate to reveal bright and glowing skin underneath. The manuka honey acts as an antibacterial agent to help prevent pimples and other blemishes from developing. This is potentially one of the best facial treatments you’ll find in the market. It’s made out of 100% Calcium Bentonite clay that’s been used by ancient civilisations for almost anything--from treating sprains to enhancing blood circulation. Activated charcoal seems to be the go-to ingredient for cleaning pores and preventing oiliness. This exfoliating scrub from Brooklyn Botany is infused with activated charcoal and uses salt from the dead sea to clear your skin and leave you feeling brand new. Different skin types have very different needs. Exfoliators that work well for dry to normal skin may not work as well for those with oily skin. So what should you look for when shopping for an exfoliator for oily skin? Oily skin tends to be more sensitive and a bit more prone to damage that other skin types due to the excess sebum. Which is why it’s important to choose an exfoliator that has a light touch and won’t cause irritation or damage to your skin. Excess oil and sebum is the number 1 skincare woe for those with oily skin so it’s always good to choose an exfoliator that does this for you. However, it’s important to choose an exfoliator that isn’t too drying as that may cause your skin to overproduce on oil and leave you with even more sebum than before. Contrary to popular belief, oily skin still needs to be moisturized. In fact, regularly moisturizing oily skin can help reduce overproduction of oil and sebum. When choosing an exfoliator, pick one that provides just the right amount of hydration to prevent your skin from drying out, preferably one that’s oil-free. Considering everything on this list, we’ve decided to award the top spot to the Repechage One Minute Exfoliating Mask! What’s great about this product is that it’s a facial treatment and exfoliator rolled into one. The price may be a bit higher that most of the other products on this list but it’s worth every penny. It works great as an exfoliator without irritating the skin. It also doubles as a cleanser that effectively removes excess oil without drying the skin out too much. To top it all off, it also has anti-aging properties to help fight wrinkles, fine lines, and aging spots. It’s sure to be a great addition to your skincare routine! 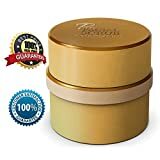 I have been looking for a facial scrub for a very long time. I used to use the apricot stuff back in the day, but it is too harsh. I absolutely LOVE the Aztec Secret! I am now a loyal fan. I have oily but relatively sensitive skin and this is just the right amount of exfoliation without drying or irritating my skin. My skin just feels really smooth and clean afterwards.